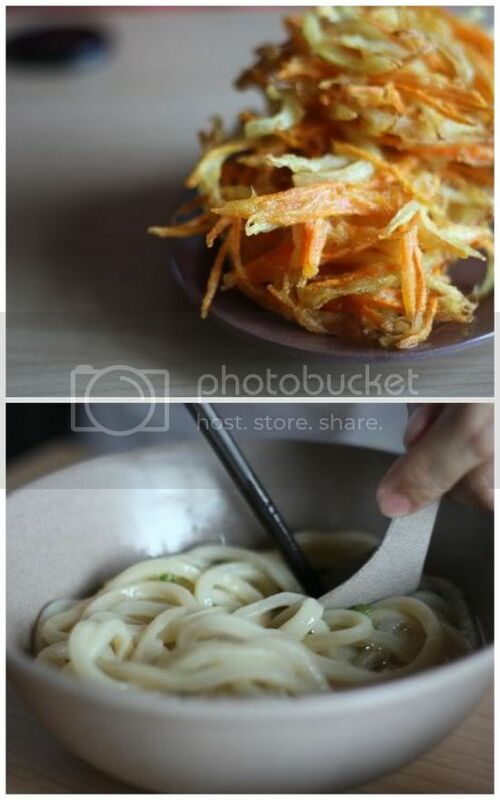 Life should be simple - like a bowl of udon from Marufuku Udon. It's at this small tucked away cafe, you will discover a noodle epiphany and why the Japanese are so feverish about these thick and chewy noodles. 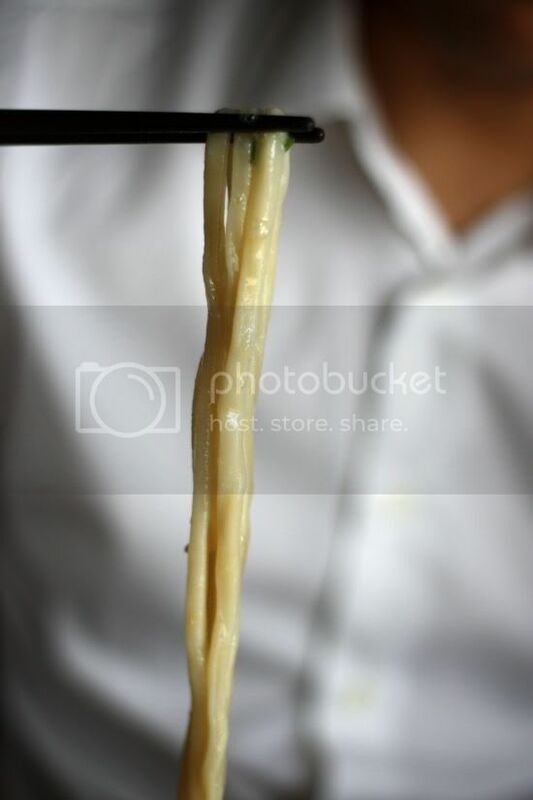 Made by the same Japanese master from Sanuki Udon at Taman Desa (this is a branch, they also have another outlet in Wisma Cosway), the springy noodles are made daily following a recipe that uses Australian wheat flour to give it its characteristic chewy texture. You can also purchase the udon noodles for your own home consumption but only at the Taman Desa outlet. At this simple cafe set up (that reminds me a little of a fast food joint but with a whole lot more heart), you can order your udon selection from the house special, original soup, chilli udon, kitsune udon, wakame udon, salada udon, curry udon and etc by using their computer touch screens. You also can select deep fried toppings from the counter like the vegetable kariage, fried chicken and etc, if you prefer an extra crunch with your noodles. Once your selection is done, just pay at the counter and they'll send over your bowl of noodles once it is ready. Green tea is refillable so help yourself to the hot and cold jugs. All of us sample the house special served cold - a simple concoction of a poached egg, chopped spring onions with a little wasabi paste on the side. Mix them together and slurp the noodles down as you enjoy each chewy noodle delicately coated with the egg mixed with the fiery wasabi. It's seriously good stuff that will make you ponder how an unpretentious bowl of noodles costing RM6 can satisfy you so well. Now, if the ramen masters will land on our shores (Tampopo anyone? ), we won't need to travel to the Land of the Rising Sun to get our Japanese fix anymore. I would like this noodle serve as the usual spicy pan mee style and I think it would be delicious.....of course the poached egg remains. 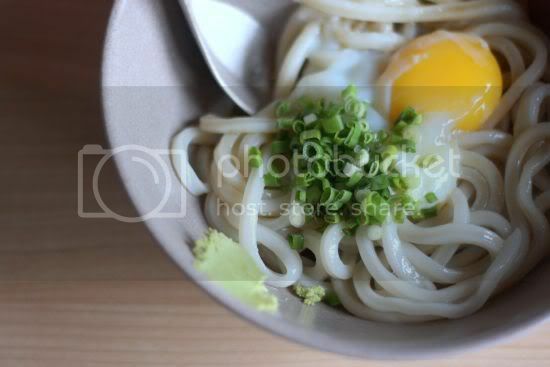 I loving having my udon with raw egg, natto, spring onions, wasabi, tamari and sesame oil. :) But I think poached eggs will work just as well. Sin Tai Lim - time to experiment at home I reckon? Michelle - hmmm, natto sounds like a good addition. 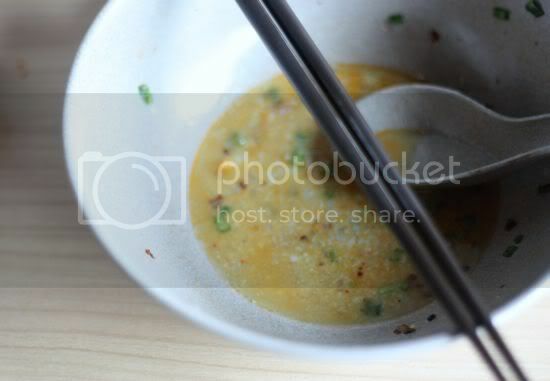 A bit of stickiness to let all those slurplicious noodles to go down. No words can describe how much I love the udon from Sanuki and now Marufuku... but if words COULD describe my love for this amazing udon, trust you to write them, dear. Me too! I'm a fan of the House Special Udon...COLD! 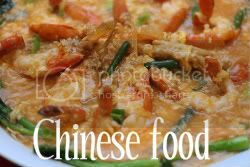 looks simple yet able to bring on a myriad of texture and flavours, must try this soon! Think I will walk over there to try it out. Tried it last week. Not bad and the price is not expensive also. I'm sure I will head there again. looks like a new place at Jaya One? So now there's Mai Ramen for ramen and this place for Udon. Great! choi yen - yes, same people opened this one but different look. Also has yakitori. J - yes, takes so little to make us happy. Thxs Life for Beginners! It was fun bumping into you at Jaya One and thxs for being my hand model. 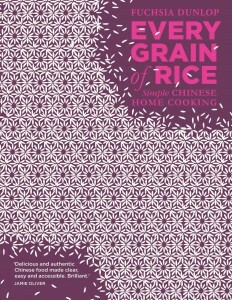 Sean - I still prefer soba actually as I love buckwheat or wholemeal in my pastas and noodles. Ramen is more the soup vs the texture I reckon. 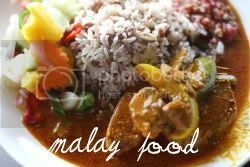 They are still at Jaya One but move to unit 65-G, Block D, Palm Square. Same row with Maxwell and Postcode.